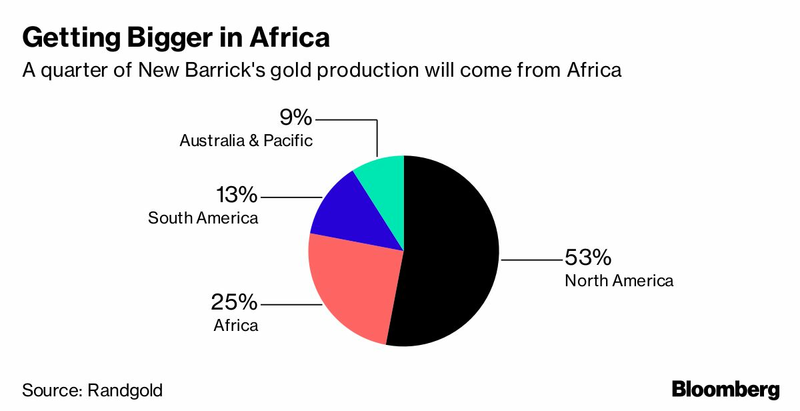 Barrick Gold Corp.’s decision to double down on Africa is a bet on Randgold Resources Ltd. boss Mark Bristow keeping his Midas touch on a continent where many miners have floundered. That wager is facing its first test. Among the assets Barrick will acquire in the $5.4 billion deal for Randgold is Kibali, a mine Bristow built from scratch in the Democratic Republic of Congo. While that operation has been a crowning achievement for Randgold, it’s set to challenge Bristow’s trouble-shooting skills even before he takes over as chief executive officer of the enlarged company. Barrick won’t be the first company to be squeezed by an increasingly assertive government in Kinshasa, Congo’s capital. Mining giant Glencore Plc paid $150 million earlier this year to settle a dispute with state-owned Gecamines, which used identical resource-nationalist language as Sokimo when objecting to Freeport-McMoRan Inc.’s plan to sell a copper and cobalt mine to Chinese buyers. Freeport is said to have paid Gecamines $100 million to smooth the transaction. Even Bristow came away empty handed when he led fellow CEOs in lobbying for concessions on Congo’s new mining code. While the latest spat won’t lead to a repeat of March’s face-to-face showdown with President Joseph Kabila, Bristow has already come out fighting, rebuffing Sokimo’s assertion that it is entitled to intervene as the merger would introduce a “de facto new partner” at Kibali. The deal “would have no effect” on the company that owns Kibali, Randgold said. Bristow said comparisons with Freeport are misleading as the U.S. company was exiting Congo as part of its deal. That hasn’t stopped Congo’s Mining Minister Martin Kabwelulu from invoking the nation’s new law, which decrees any takeover at a mine requires government approval. The proposed merger “must obtain the prior agreement of the Congolese state” to take effect at Kibali, Kabwelulu said Sept. 28, even though Randgold owns only 45 percent of the project. AngloGold Ashanti Ltd. owns the same share, while Sokimo — officially known as Societe Miniere de Kilo Moto — holds 10 percent. Bristow said Randgold has supplied Kabwelulu with all requested information and “in the fullness of time, I am sure we will come to the right conclusion." Randgold’s proven track record and ability to negotiate such regulatory roadblocks is central to its appeal. Volatile bullion prices haven’t derailed its profit-making abilities and it’s the best performer on the FTSE 100 Index this century. By contrast, Barrick’s African unit, Acacia Mining Plc, has long been mired in conflict with Tanzania’s government. Last year, the country banned exports of mineral concentrates and slapped Acacia with a $190 billion tax bill, forcing the company to shutter some production. 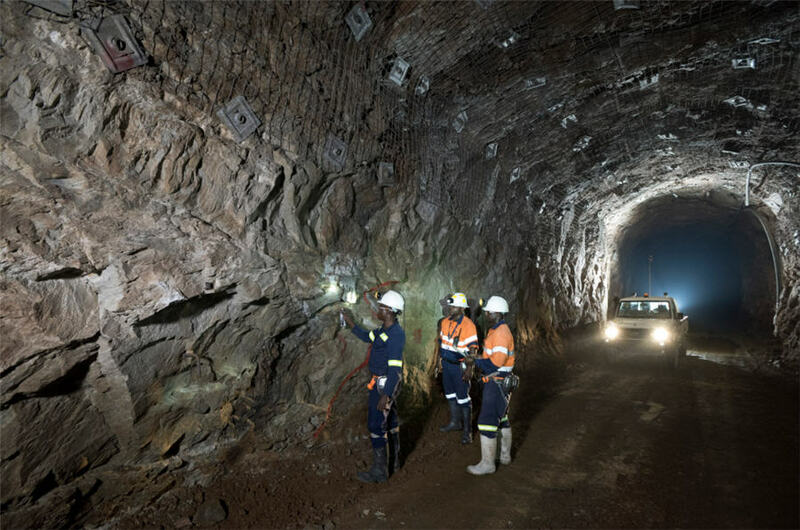 Once the Canadian company has completed its acquisition of Randgold, it would favor taking back control of its separately listed Tanzanian assets, according to people familiar with the situation. That would allow Bristow, who has publicly criticized Barrick’s handling of the Tanzania crisis, to plot a turnaround. Before that happens, the swashbuckling South African must silence the rumblings of discontent in Congo. While Sokimo’s claims “seem rather weak” in legal terms, it may be emboldened by the Freeport and Glencore settlements, said Elisabeth Caesens, director of Brussels-based Resource Matters, a non-profit organization focused on better governance and greater transparency in Congo’s mining industry. “One might expect Sokimo to stand firm until some kind of compromise is reached,” she said.